March 1950: Graduated from Nagasaki Medical College. September 1965: Appointed to the position of an assistant professor in the Department of Hematology (Atomic Research Internal Medicine) se Institute of the Nagasaki University School of Medicine. December 1980: Appointed to the position of Head of the Atomic Disease Institute of the Nagasaki University School of Medicine, while also teaching there. March 1990: Retired from Nagasaki University and began became an emeritus professor of the University in May of that year. 1997 ~ present: Head of the Sasebo Members Council Medical Institution, Sanremo Rehabilitation Hospital. 1950 ~ : After graduating from the Nagasaki Medical College, Dr. Ichimaru began conducting research in hematology and in medical treatment of atomic bomb survivors at the No. 2 Division of Internal Medicine, and later became a central figure in Nagasaki in research in post-atomic bomb illnesses, primarily leukemia. 1973 ~ : Dr. Ichimaru has been working to assure adequate medical support and assistance for atomic bomb survivors, as a member of the Special Committee of the Ministry of Health and Welfare Conference on Atomic Bomb Medicine. 1980 ~ :Dr. Ichimaru has been a member of the International Physicians for the Prevention of Nuclear War (IPPNW), and has been serving on the international board of directors of the organization and as assistant administrator of the Nagasaki Branch of the IPPNW, as well as serving as an advisor. As a physician and researcher in Internal Medicine specializing in Hematology, Dr. Ichimaru has served as a professor and as Head of the Atomic Disease Institute of the Nagasaki University School of Medicine, and for approximately 40 years has been involved in epidemiological research aimed at clarifying the occurrence of radiation-inducedhematopoietic tumors and cancer of atomic bomb survivors, and in the development and research of treatment methods. Among those efforts, he is particularly highly acclaimed for his medically outstanding achievements in elucidating the actual facts involved in the high incidence rate of leukemia occurring in Nagasaki since around 1950. Moreover, Dr. Ichimaru has authored numerous journal articles in English that substantiate, both medically and scientifically, the existence and status of atomic bomb survivors suffering the effects of atomic bomb radiation, and has made these available to the international medical community at large. Because of these articles, the fact of the high incidence of leukemia is now well documented in medical literature worldwide. Additionally, in 1981, Dr. Ichimaru was invited in 1981 to participate in the 1st Worldwide Conference of the International Physicians for the Prevention of Nuclear War (IPPNW), held in Airlie, Virginia in the United States. Ever since that time, as a member of the International Board of Directors, he has been involved in activities aimed at educating and enlightening the Governments of the United States and the Soviet Union at the leadership level with respect to the after-effects of the atomic bomb, efforts which significantly contributed to the IPPNW being awarded the Nobel Peace Prize in 1985. March 1952: Graduated from Hiroshima Prefectural Medical College. April 1967: Appointed to the position of a professor in the Department of Pathology, Research Institute for Nuclear Medicine and Biology, Hiroshima University. April 1981: Appointed to the position of Head of the Research Institute for Nuclear Medicine and Biology, Hiroshima University, while also teaching there. March 1985-March 1991: Retired from Hiroshima University and became an emeritus professor of the University in April of that year. 1991 ~ 1994: Served as an advisor and researcher at the Radiation Effects Research Foundation (Nagasaki Institute). 1953: Began conducting research in pathology of the human body and experimental research in radiation-induced cancer. 1958 ~ : Engaged in experimental research in the mechanisms by which is cancer is induced by radiation, chemical substances and viruses, in the United States. 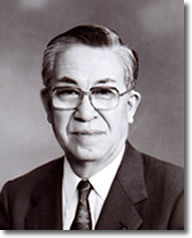 Dr. Yokoro served as a professor in the Department of Pathology at the Research Institute for Nuclear Medicine and Biology at Hiroshima University, and later as Head of the Institute, and was involved in experimental cancer research for over 50 years as a specialist in experimental pathology. He engaged in carcinogenesis research involving cancer of a number of different organs, including leukemia caused by radiation and radiation-induced breast cancer, creating the foundation for radiation-induced cancer research in Japan. Through his carcinogenesis research, he contributed to carcinogenesis experimentation and helped to explain the mechanisms by which cancer occurs. At the same time, he played a central role in experimental carcinogenesis research in Japan. Dr. Yokoro reported his research findings in numerous journal articles published in English, and the compilations of his writings, based on his many years of research, are acclaimed by researchers in the field as being highly instructional. These research achievements have also contributed significantly to the improvement of medical care for atomic bomb survivors. 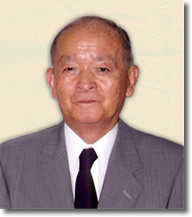 Moreover, among his numerous social achievements, Dr. Yokoro has been engaged for many years in activities aimed at abolishing nuclear weapons, particularly through his activities as a member of the International Physicians for the Prevention of Nuclear War (IPPNW), which he joined in 1982. Through these and other activities, he is making a strong contribution to world peace.